After receiving a degree in Marketing, Steve worked for Texaco and Quaker State Oil in their Dallas marketing divisions. In 1977, he earned his real estate license and joined a large national real estate firm as a Sales Associate. Within three years Steve was asked to join another large real estate company and open and manage one of their new offices in Dallas. With a couple of years of success as an office manager, Steve saw an opportunity in the up-and-coming field of home inspections. Unafraid of a new challenge, he decided to pursue his dream of opening his own company. After twelve successful years in the inspection business, Steve was recruited by a large property management company in Dallas to manage their property maintenance division. In l994, Steve and his family decided they wanted a slower pace and small town lifestyle, so they moved to Steamboat. Steve initially joined the Prudential Trimontane Real Estate office and was in the top 4% in sales for all Prudential sales associates in the U.S. in 1998 and 1999. At about the same time a Vail real estate development company offered him the opportunity to be part of their sales team for their new Catamount Ranch and Club development in Steamboat Springs, and he remained with the project until it was approximately 80% sold-out. At that point, Steve made the decision to return to general real estate sales. In 2014, he was very pleased to join the top-notch sales team at RE/MAX Partners. 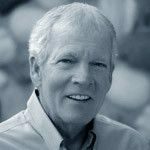 With over 38 years in the real estate industry and 21 years in Steamboat, Steve feels his experience and knowledge in marketing, sales, managing, home inspection, and property management have made him a well-rounded real estate professional with outstanding customer rapport and respect. He is greatly pleased that a large portion of his business is from referrals and returning clients. Steve believes that says a lot about him as a Realtor. He has received numerous sales awards over the years. While enjoying family time with his wife and their married daughters and families, Steve also enjoys activities such as travel, hiking, hunting, fishing, golf, horseshoes, and motorcycle riding. I wouldn’t think of buying or selling a home without Steve’s expertise. He’s helped us buy and sell several properties and he’s a pro. In addition to his industry knowledge, he’s a great guy to work with. I want to thank you for your amazing help and support in helping us purchase the condo. You were always a gentleman, always returned my calls promptly, always kept me in the loop, made many excellent recommendations, made sure everything was in order and most of all, you are such a honest and honorable person. It was a pleasure to work with you. Hard-working guy who knows his stuff. Always available for questions, suggestions, and feedback. So pleasant to work with. He definitely puts his clients’ interests first. Would gladly recommend to friends. We have worked with Steve on five transactions in Steamboat. His exceptional knowledge of the market has helped us make good decisions to maximize our earning potential on the buy side and sell fast for the best price on the sell side. His work doesn’t stop at the signing of a contract. I am always impressed at the amount of time he dedicates throughout the process to make sure everything is right all the way through closing. This is important to us since the Colorado process is significantly different than it is in Texas, where we’re from. Steve handled everything and made it easy for us to buy and sell, even from out of state. 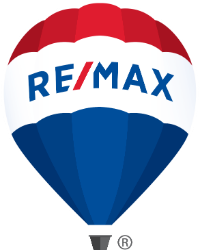 We wouldn’t consider buying or selling property in Steamboat without Steve’s help.